Is universal basic income (UBI) the solution to economic instability and inequality? That’s what the city of Stockton, CA plans to find out, with the support of local leadership, the Economic Security Project, income equality experts like Amy Castro Baker, PhD, and the residents of Stockton. The Stockton Economic Empowerment Demonstration (SEED) is a historic initiative that will test recurring cash stipends – unconditional, guaranteed income, also known as UBI – by giving 100 families $500 once a month for 18 months, with no restrictions on how the money can be spent. SEED, the nation’s first ever, city-led guaranteed income demonstration, will begin dispersing funds in early 2019. 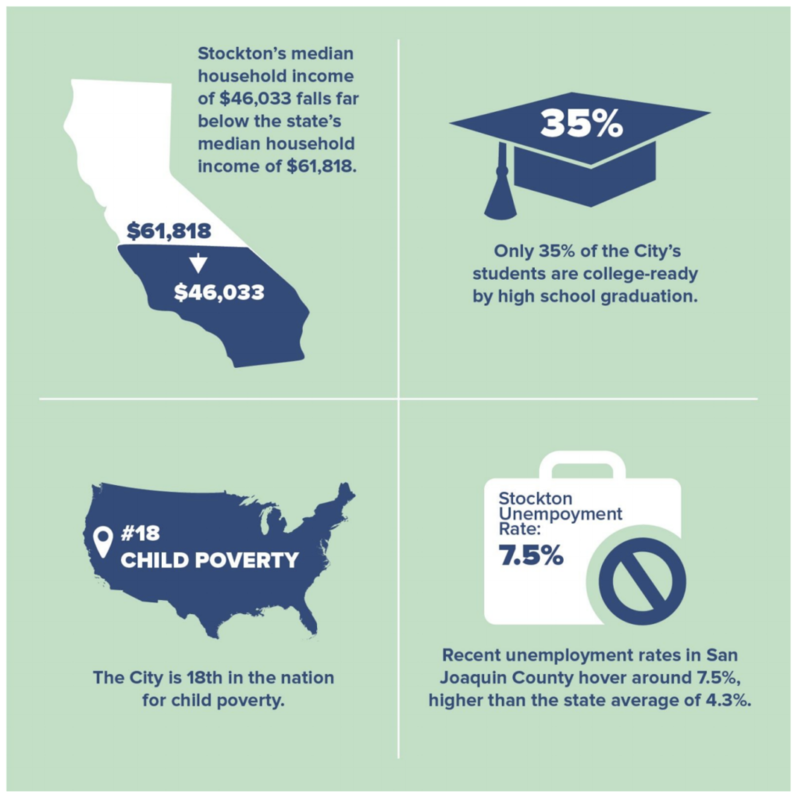 According to a comprehensive discussion paper released by SEED on August 20, the eligibility criteria was outlined: “to qualify or be considered, a recipient must occupy a residence within the City of Stockton, be at least 18 years of age, and be located in a neighborhood where the median income is at or below $46,033.” The randomized selection process was designed to be “fair, inclusive and representative, and must maximize the ability to learn” by yielding objective results. 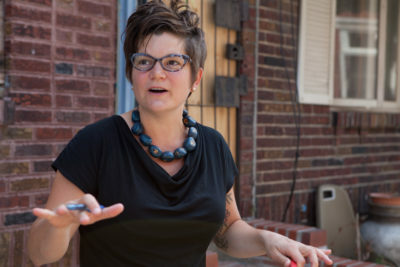 Castro Baker, along with the University of Tennessee’s Stacia West, PhD, was selected to evaluate the groundbreaking experiment, the potential benefits of UBI, and the overall impact it can have on poverty in Stockton – a city with a challenging financial past of bankruptcy and soaring rates of foreclosure. While guaranteed income has continued to draw more attention and interest in recent years, a version of UBI has already been successfully implemented in Alaska – residents have been receiving an annual dividend, with no strings attached, since 1982. Other notable proponents of guaranteed income throughout the course of history include civil rights leader Martin Luther King, Jr. and Thomas Paine, philosopher and one of the Founding Fathers of the U.S.
At the helm of SEED is Mayor Michael Tubbs, a lifelong Stockton resident as well as its youngest mayor to date, and ESP, a network committed to advancing the debate on unconditional cash and basic income. No tax payer dollars are being used for the SEED pilot program because of a $1 million investment from the Economic Security Project, which is co-chaired by Facebook co-founder Chris Hughes, and backing from the Goldhirsh Foundation.